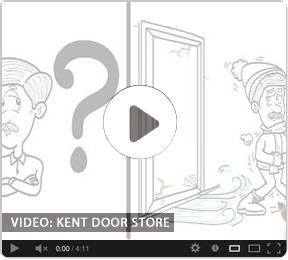 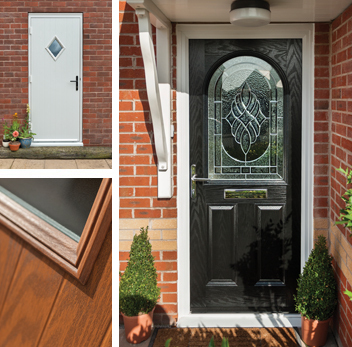 Doors that do not need regular painting but still give guaranteed weather protection that’s what you get when you purchase our composite doors; doors that are clad with 2mm glass reinforced plastic skins, which are securely bonded to the door core. 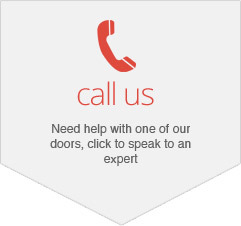 This not only gives more strength to the door to resist warp, twist etc but more importantly a door that is impervious to water which is only to be expected as GRP is now a standard material for the construction of all kinds of marine craft. 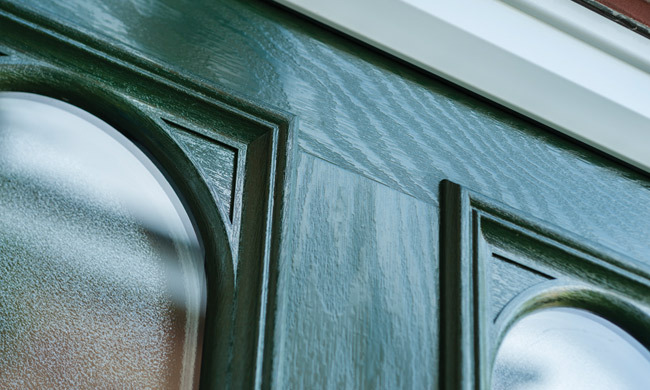 One of the major benefits of our 2mm thick GRP cladding is that it can be manufactured as a product which is the same colour throughout its depth. 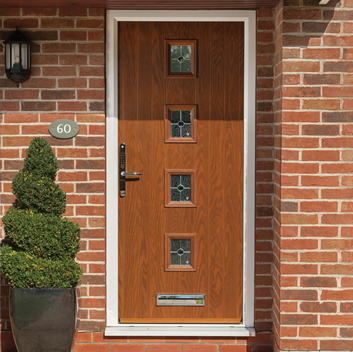 Scratch the surface of your door and the colour remains the same. 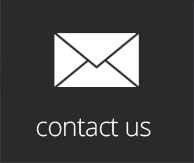 Where other products UPVC etc and even traditional paint finishes are prone to fading or discolouration, GRP has no such problems. 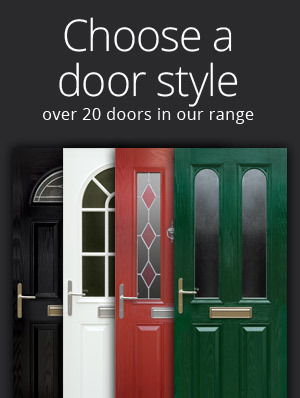 The colour does not fade, all that is required to maintain your door in showroom condition is a wipe with a damp cloth. 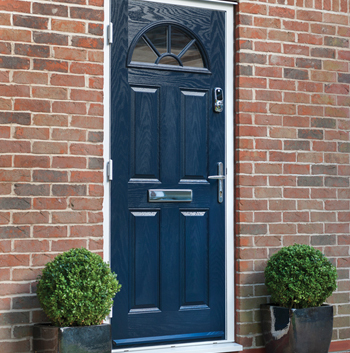 As GRP is a moulded product it can be given a surface textured finish which mimics that of a typical grained timber door so your new composite door can look like a traditional timber door but unlike timber doors it has the added benefit that it will not rot or decay over time. 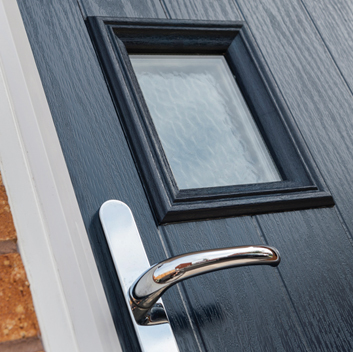 With a choice of seven through coloured external finishes all available as timber grained options there is something in our range to suit every taste. 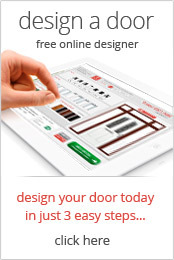 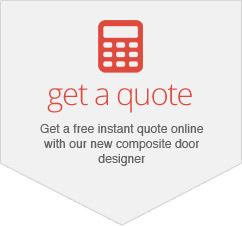 With so many options to choose from when you are selecting your new composite door we want to give you all the assistance that we can, we only want satisfied customers. 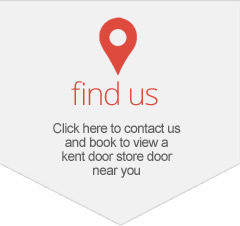 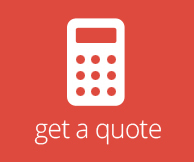 We believe our website is as comprehensive and self explanatory as we can make it but if you should have any queries or you are looking for the comfort and reassurance before you commit please give one of our Sales Advisors a call we will be pleased to answer your queries no matter how large or small.